Wondering what kind of party to throw your little guy? Plan a truck birthday party! 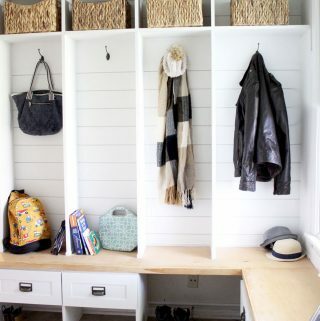 It’s a simple theme to work with, and there are lots of easy DIY ideas that won’t break the bank or stress you out. 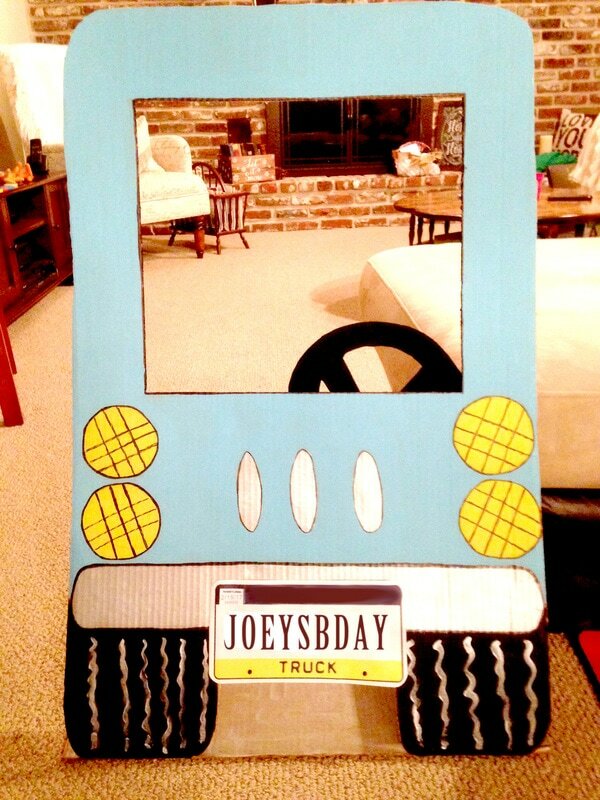 I recently put together a few crafty things, including a photo booth, a truck game, and themed goody bags, for my dear friend’s son’s truck party. They were easy to make and added such a magical touch. Not only are felt boards a fun learning tool, but felt boards double as great party games, especially for toddlers. Rather than hosting a formal game, these felt boards make great stations for kids who are developmentally at the parallel play stage. 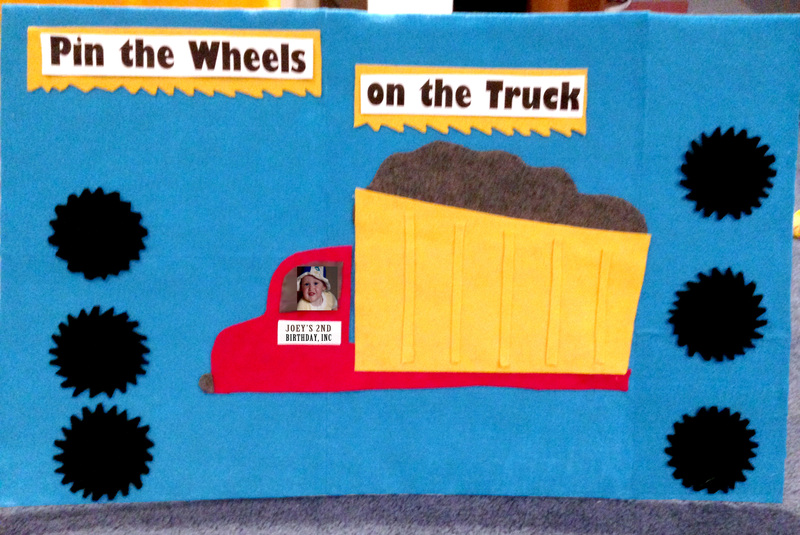 To go with the theme, I made a Pin the Wheels on the Truck felt board. The materials cost nothing – because I utilized things I had previously purchased for other parties or activities. ​I used a foam board from Dollar Tree (definitely check out Dollar Tree first because these boards are way higher priced at the craft stores). Then I hot glued sheets of blue felt to the board make the background. For the truck, I picked bright colors to contrast the blue background. 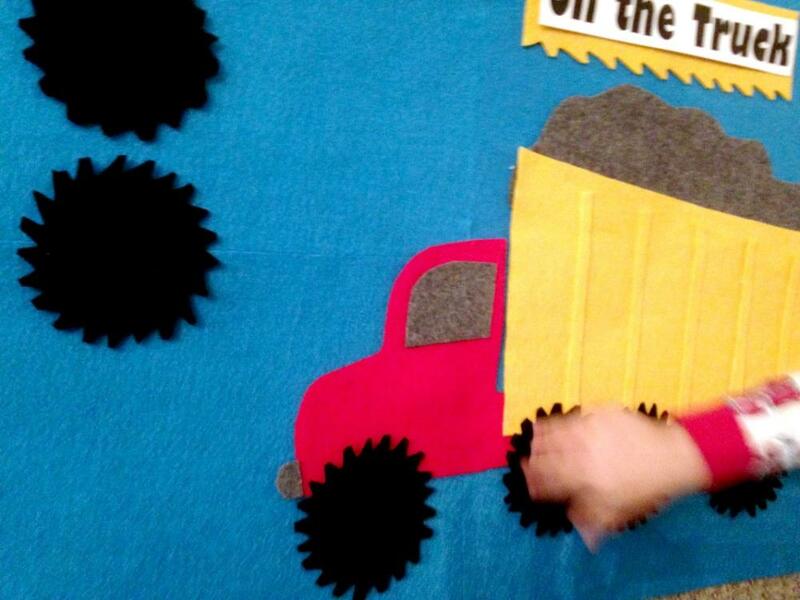 Then, I found a clipart truck that looked like it had simple angles and cuts and then I draw it freehand on felt. ​Alternatively, you could enlarge the clipart picture, print it as an 8.5×11 image, and then trace it. If it’s too small, you could always cut it out, lay it down on the felt, and then following the lines, draw it a little big bigger than the image, using the image as your guide. 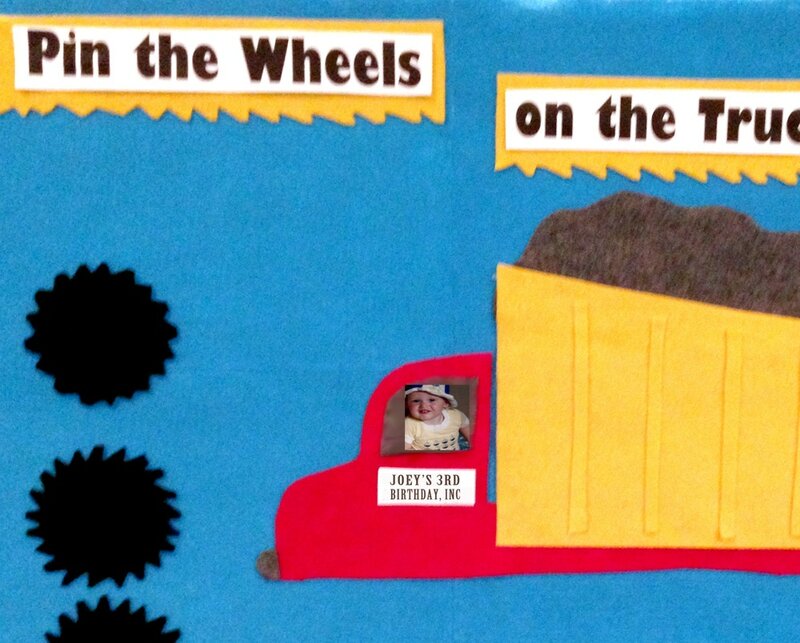 As far as other cut-outs, I cut out a window, headlight, and thick yellow lines to give the dump truck some depth. I hot glued everything down – except the wheels! Last, my favorite part of any project is the creative spin. ​I printed a picture of the birthday boy and glued it in the window as the driver. ​I also put a little label on the truck that said his name, written like it was a company truck. My friend just LOVED the felt board. She was blown away with her son as the driver and loved how cute it turned out 🙂 The kids had a great time playing with it at the truck party. My friend had a huge box from getting her bathroom redone. So, I simply cut off one side of the large box. I didn’t cut off the top flap – because this served as the stand. First I drew the truck using pretty basic shapes – rectangles with curved corners for the tires and bumper, square window, and circles for the headlights. Then, I drew everything out with a pencil before I started painting. I also used a yard stick because I am the worst at straight lines. 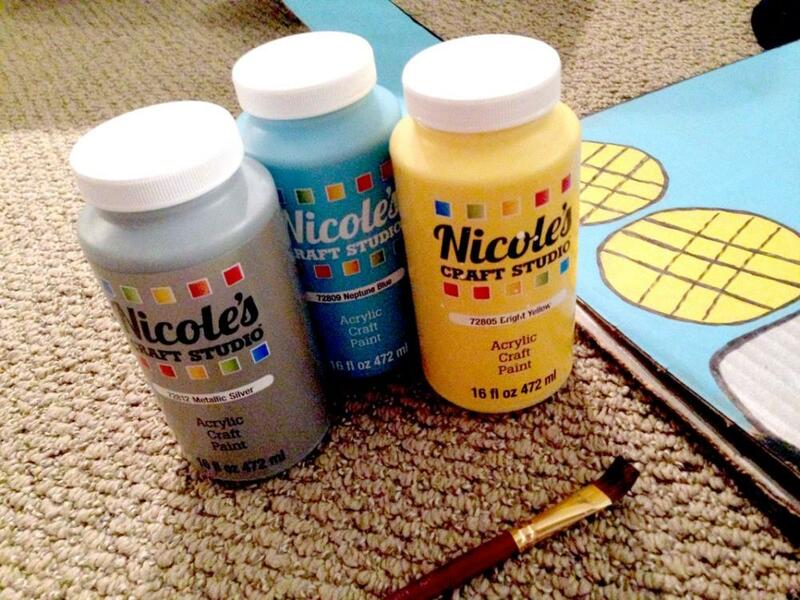 For the paints, I used the below acrylic paints. I loved the colors together. Painting Tip: Don’t make the mistake of using kids paint. Kids paint is very watered down, and you will end up doing multiple coats. I’ve done this before – and it was not efficient or fun. I did two quick coats of paint – so you couldn’t see the cardboard anymore. Two coats also made the colors pop. Then, I carefully cut out the window, the space between the tires, and made nicer edges around the whole truck. It wasn’t looking much like a truck until I used a sharpie to give a nice clean outline around everything. I also painted some squiggly silver lines, which brought the tires to life. Next, I made a steering wheel out of… you guessed it – felt! I thought it would be nice and soft for the kids to touch rather than painted cardboard. Plus, it’s way easier to cut felt than cardboard. To attach it, I used hot glue. Last, Ash made the adorable license plate – by simply grabbing a license plate image and using Photoshop (you can use paint too) to write on it. He must have played with the completed truck for two hours while I cleaned the house one morning. Goody bags are always an easy way to further incorporate the theme of your party – and these goody bags couldn’t have been easier to make! I simply purchased yellow goody bags at AC Moore for 70 cents. (There are also some cheap craft bag options on Amazon). 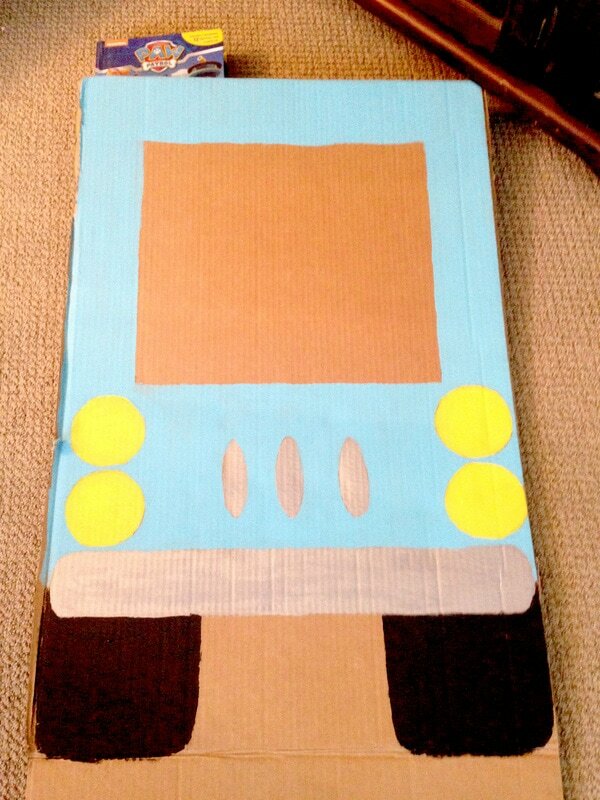 Then, my friend and I traced the truck cut-out onto blue cardstock. For the wheels, we traced the circles using a small container of paint and black paper. ​After some glue, they were ready to go! They took less than 30 minutes to make – and added such a cute touch. If you’re still wondering what kind of party to throw your little guy, don’t overlook a truck party. 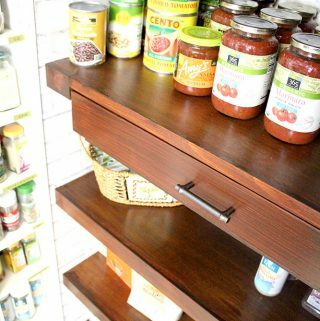 These simple DIYs were easy to make, cost little-to-nothing, and blew the guests away! And, in addition to the party, the felt board and photo booth prop can occupy kids for hours before or after the truck party. 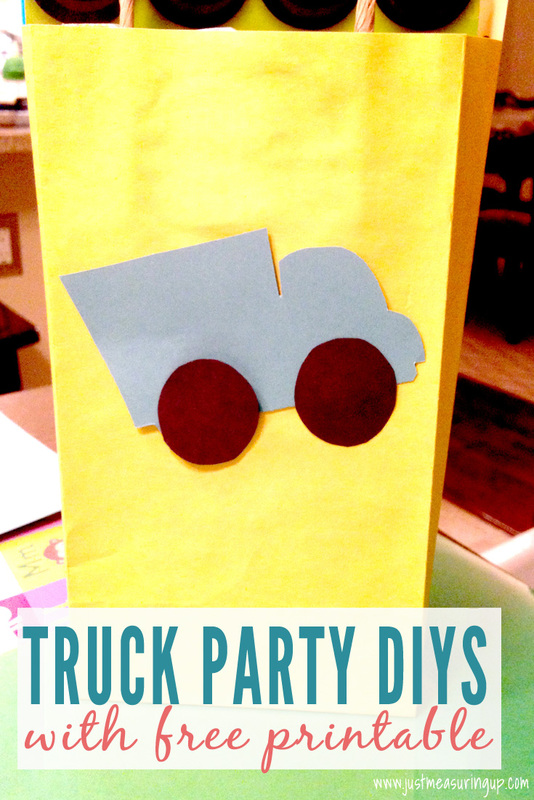 You definitely don’t need to spend a lot – or dedicate too much time to create these simple truck birthday party ideas. 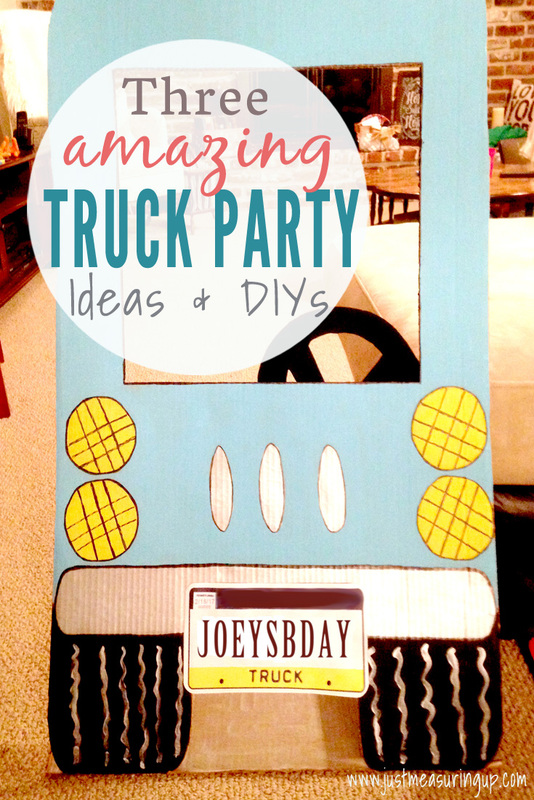 Love these super cute ideas for a truck party, especially the truck photo booth! I should really try to add a fun photo booth at my next party! Well done! Thanks Christina! 🙂 Yes, the truck photo booth was so fun 🙂 Hours of play before and after the party too! These projects are so cute! Our 1-year-old loves cars and trucks, and would have a blast with that photo booth. Thanks so much for sharing at the #happynowlinkup! This looks SO much fun! 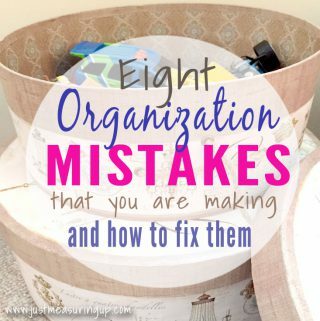 It looks like you picked great projects that were simple to do and had a big impact! Pinning for later​. My boy loves trucks! Stopping by from SITS Girls! Thanks so much Mary 🙂 Yes, I love simple projects with a big impact! Have a great week! Such fun ideas Eileen. Makes me wish I had a young one to host a party for. Mine are all grown up now. Pinning! Aww thanks Mary 🙂 I really enjoy party planning for the little ones too! These are so cute! My little guy is turning 2 soon and he loves trucks right now. But he also loves Mickey Mouse and ducks so the party theme is still to be decided! Thanks for sharing at the Friday at the Fire Station link-up! Haha it’s so hard to pick a party theme! There are tons of cute ideas for Mickey too 🙂 Can’t wait to hear what you decide!